And our scientists are very proud of it. They ought to be. As long as you’re using pH perfect products, you don’t need to measure or alter anything to stay within the perfect pH range. Which means you can stop suffering with those dreadful pH pens altogether. pH Perfect is such a potent technology that it can bring a pH of 8.7 down to 5.5 in a matter of seconds. Or, it can raise a low pH of 4.8 to 5.5 in the same time. 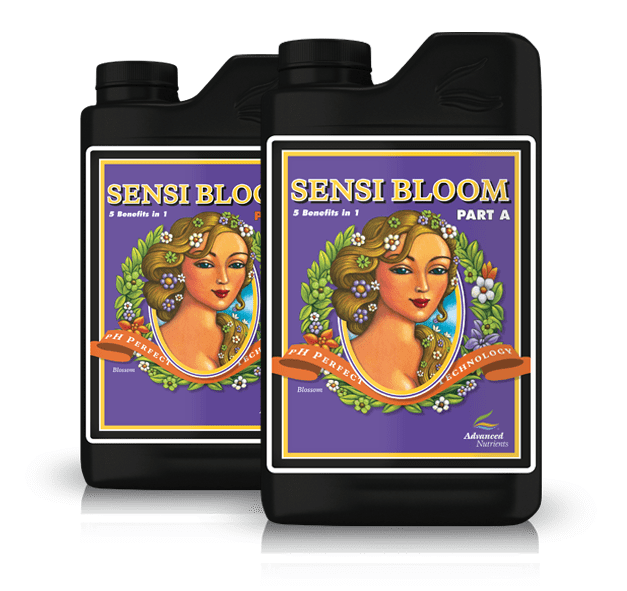 Sensi Bloom A & B is a two(2) part flowering base nutrient that is pH stable when mixed in water. Sensi Bloom A & B is a two-part base nutrient formula that is ridiculously easy to use. You just measure the two parts, according to the mixing instructions on the bottle, and voilà. You can get on with your life. And because Sensi Bloom A&B includes pH Perfect technology, your pH will constantly be maintained at the perfect level for optimal growth.